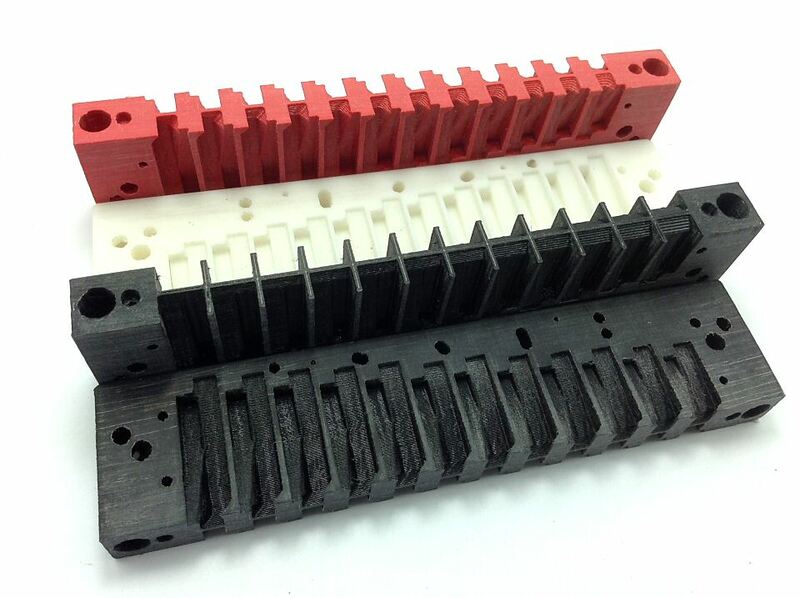 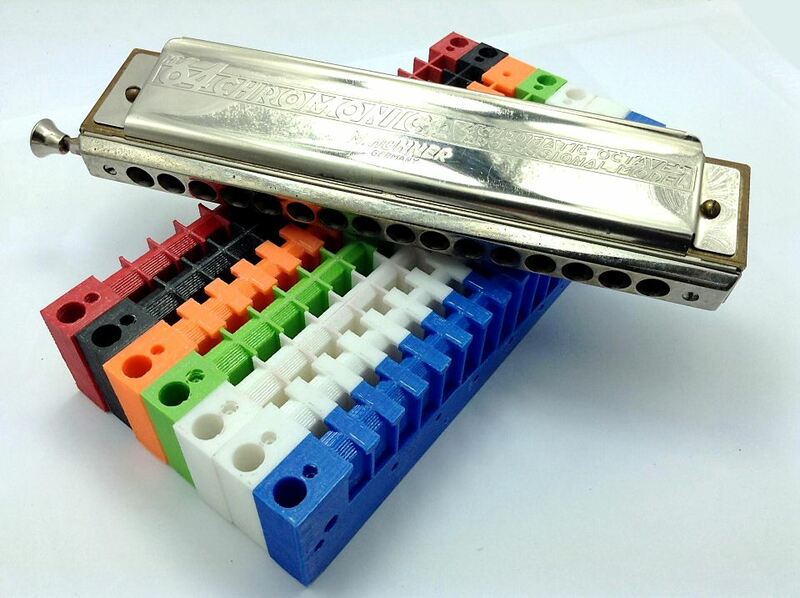 The PowerComb 'Lefty' Range - Specialist Chromatic Combs for Left-Handed Players! 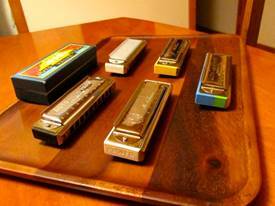 12% of the human population is left-handed, and 30% ambidextrous. 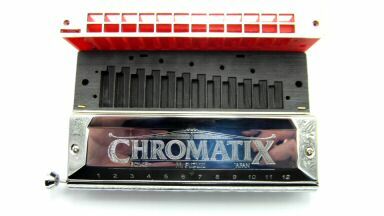 But when it comes to chromatic harmonicas, there is virtually no choice except to play a standard right-handed instrument. 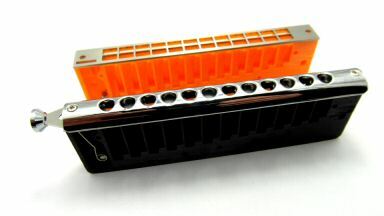 That means left-handed players have to either get used to the awkwardness of using their right hand to operate the slider - or turn the harmonica over and have the treble notes at left and bass notes at right :( It's Hobson's choice, because the major manufacturers have largely ignored left-handed players. But now there is a solution: my PowerComb Lefty range! 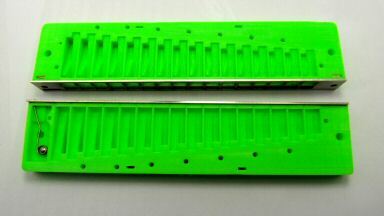 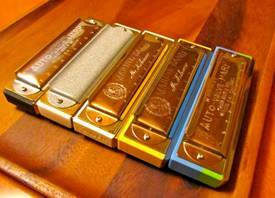 These fit all the popular chromatic harmonica models made by the two main manufacturers, Hohner and Suzuki. 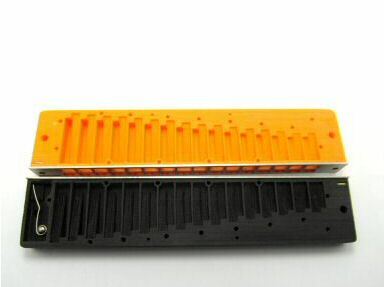 If you swap out the stock comb for a Lefty, the slider button will be on the left but the normal orientation of bass notes at the left will be unchanged. This means that left-handed players no longer have to compromise! Follow the video above for fitting your Lefty PowerComb to the plastic lipped-comb Suzuki and Hohner chromatics. It's the same procedure, except the spring is on the bass end. 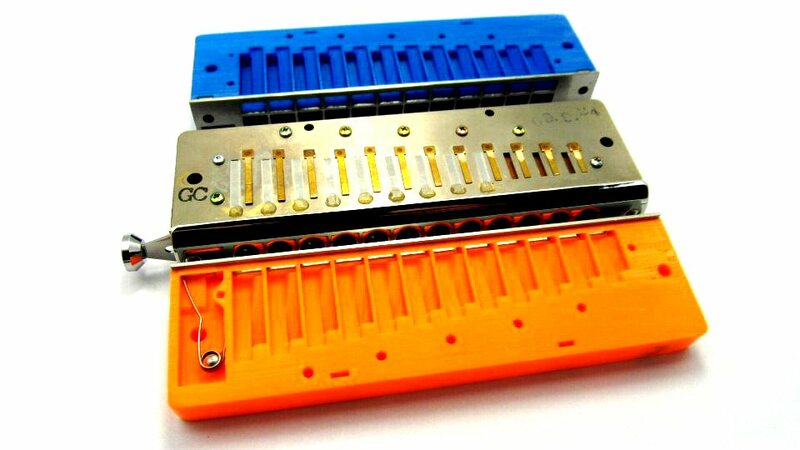 For the traditional wood-comb Hohner chroms, follow the PowerComb assembly videos on their respective pages - but insert the spring in the comb hole at the bass end. 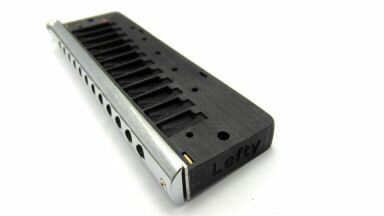 The slider assembly will then work left-handed. 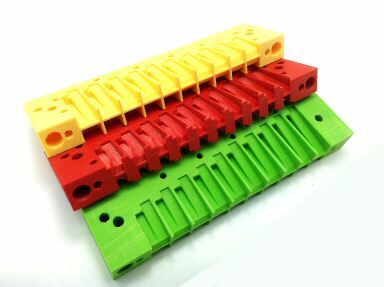 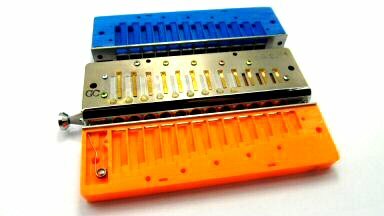 The traditional wood-comb Hohner chromatics can be assembled on my PowerCombs right or left-handed: it's simply a matter of locating the slider spring to left or right in the spring holes at either end of the comb, and assembling accordingly. 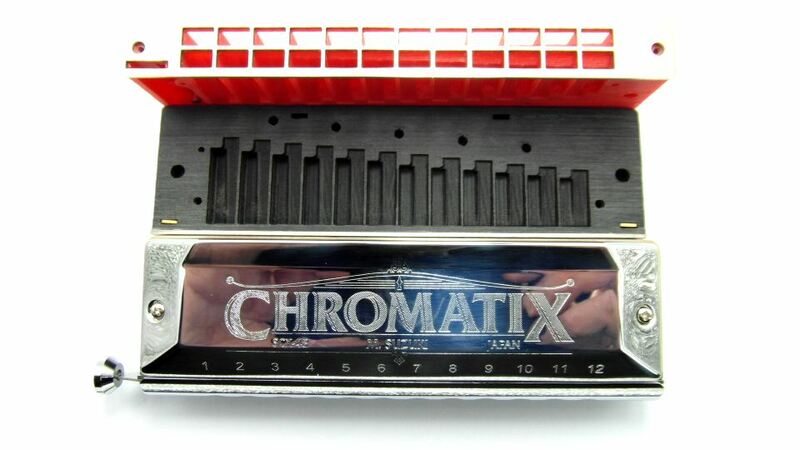 However all the modern lipped-comb chromatics (Suzuki SCX etc, Hohner CX12 and 64 series etc) had to be specially re-designed to make the Lefty version. 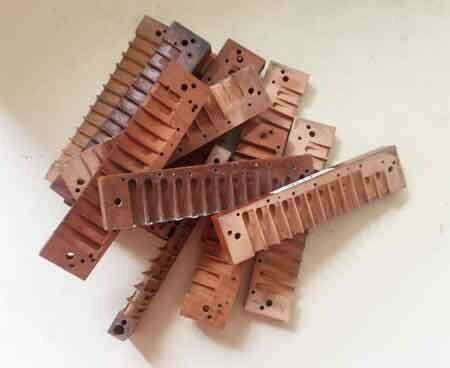 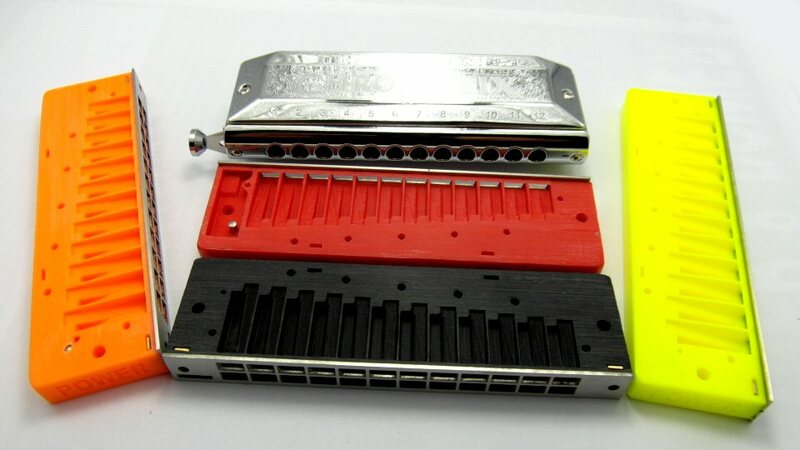 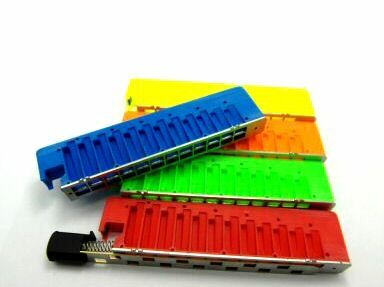 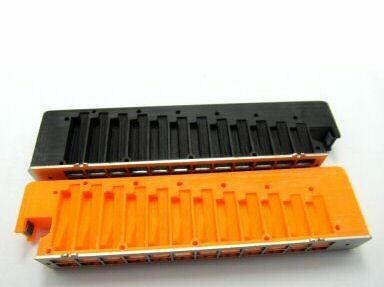 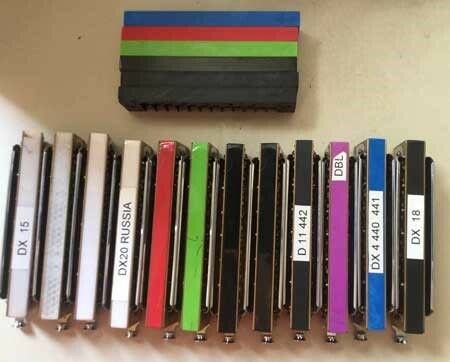 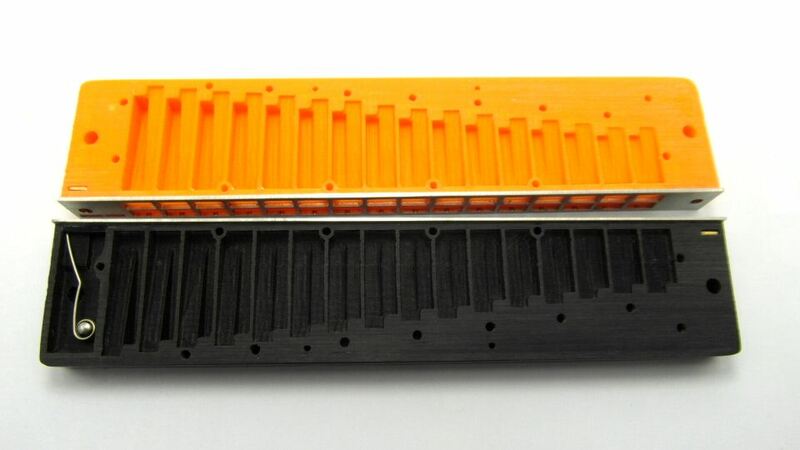 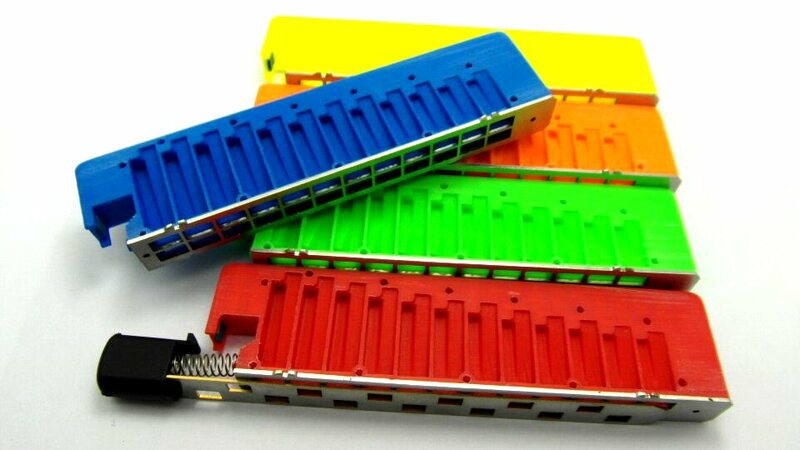 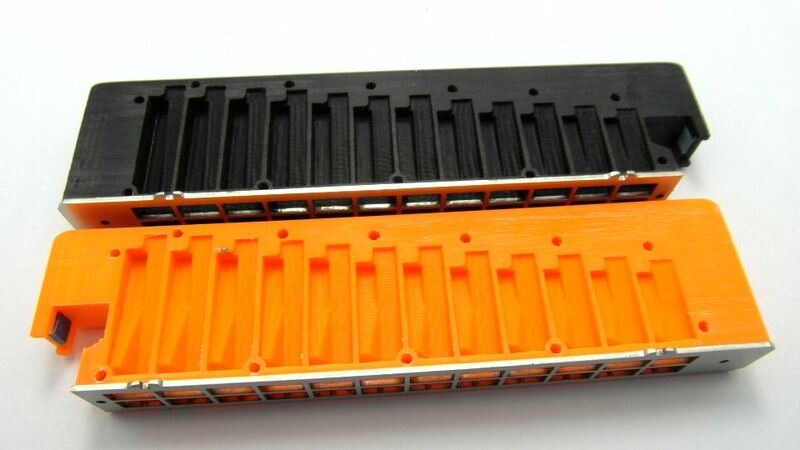 Choose the model of harmonica you want to convert, choose the type of comb (Extreme or Advanced) and the colour, and then choose the extra Lefty option. 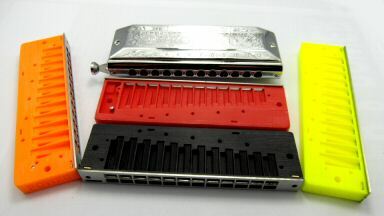 Simple as that!